A leather sofa is a timeless classic. But aside from that, designers and homeowners shy away from using this noble material elsewhere in the home. This is unfortunate, because you can use leather in a myriad of other ways to boost your interior options. From lamp shades to bedheads, you can use this unique material to the best of its ability. Leather is loved because, like wood, it has its own individual qualities; no two pieces will ever be the same. So, if you have thought about using leather, but have been a little afraid—don’t be! With this ideabook, we can show you how! We begin this ideabook with this beautiful modern armchair made from buffalo leather. Sturdy and robust, this leather will fade and show imperfections overtime, becoming more and more interesting as it ages. The black steel base complements the dark tan colour perfectly, creating an overall product that is timeless and elegant. 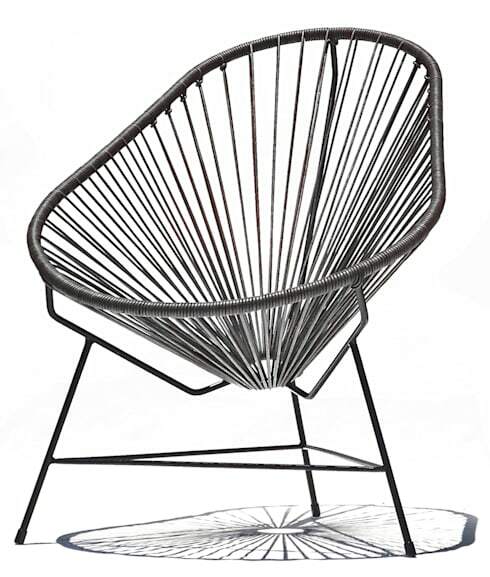 The acapulco chair is a classic that comes in a variety of colours and materials. This very elegant model was manufactured using 100% leather, and is so simple and chic that it will easily match any other furniture it is styled next to. 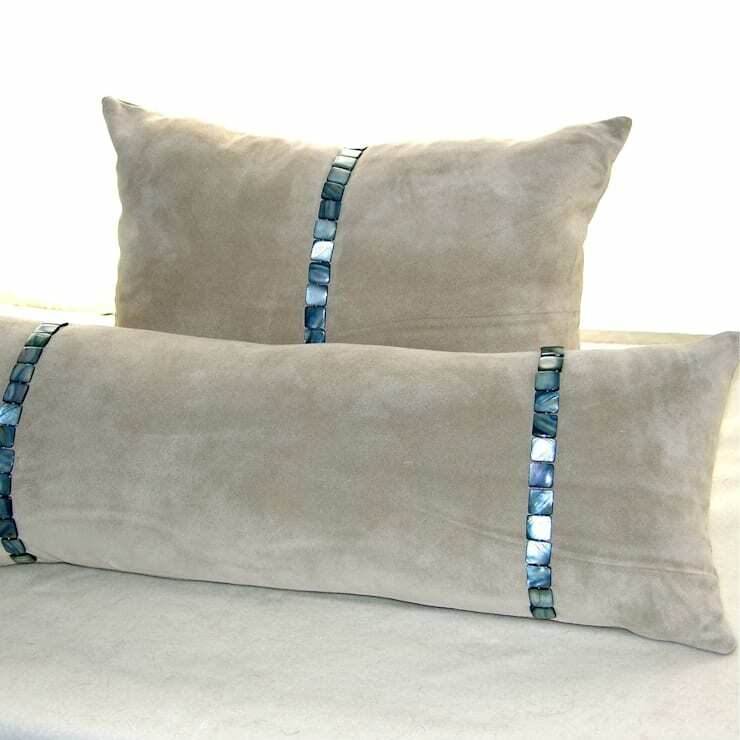 Often cushions are made of cotton, linen, wool, or silk. Here, we see a suede cushion, a material often overlooked for this particular function. When used as a throw cushion for the bed, the added texture offered by suede gives an extra detail that can make all the difference. 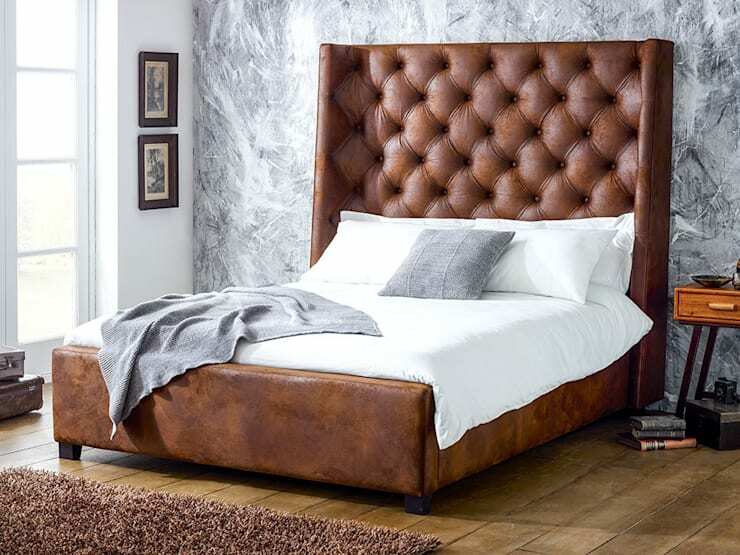 Forget wood, metal and iron: the trend today is a leather bed! And if you prefer to have only ethical furniture, know that this is actually leatherette so it respects the rights of animals. But by looking at it, would you ever guess that this bed is made of fake leather? Absolutely not! Your most precious jewels deserve an equally as precious box. This elegant box is perfect for keeping all your prized possessions safe. Its shades of beige will fit perfectly in any modern and stylish room. 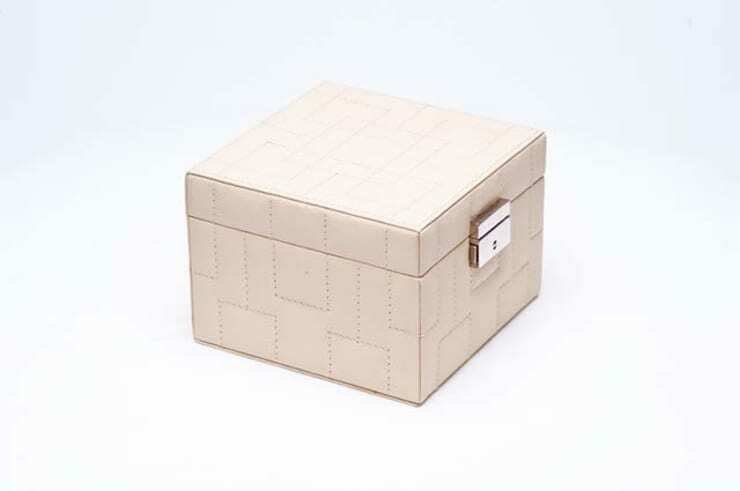 Composed of two compartments, this jewelry box is both practical and beautiful; what more could you want in an accessory?